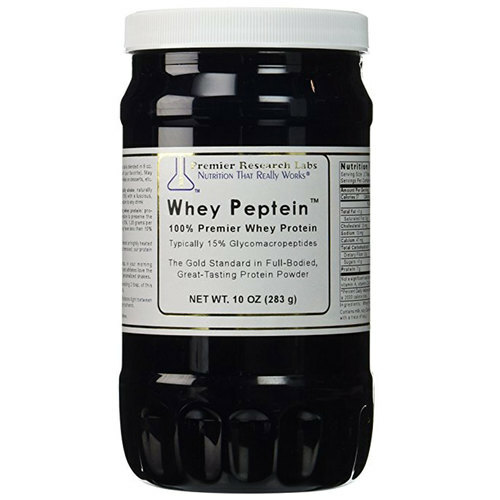 Each two (2) tablespoon serving of Premier Research Labs Whey Peptein provides up to 7 grams of protein. Warnings: Keep out of reach of children. Do not take more than recommended dosage. Consult healthcare provider before starting this or any other dietary supplement. Do not use if tamper evident seal is broken or missing. Notes: No Added Fillers. No Additives. Recommended Use: Take 2 tablespoons, 2 times daily blended in 8 oz. of water, juice or any other beverage option. May also be blended in smoothies, cereal, sprinkled on desserts, etc.